Just cut a pear in half, scoop out the intestines 😀 and create “holes” big and deep enough to put some filling inside. Place the pears with the peel down into a baking dish with maybe half a cup of water in it, to prevent burning. Mix one teaspoon of tahini with one teaspoon of rice malt and half a teaspoon of sweet white miso. Spoon the filling into the prepared holes. 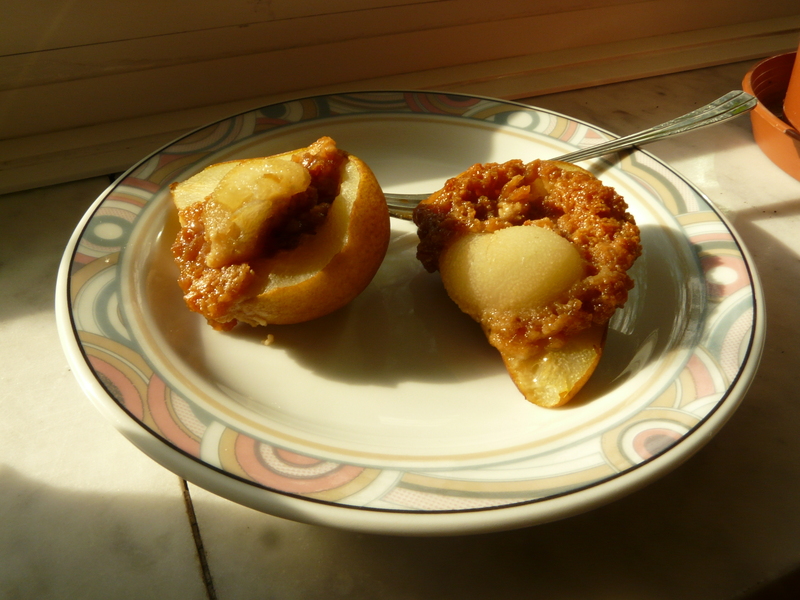 You can cover them with some of the scooped out pear flesh so that less of the filling spills during baking.